Here's a topic I don't see discussed much - when and how can the Object Marker (을/를) be used with locations? We all know how the particles 에 or (으)로 are normally used to show where motion is going, and can mean "to." But did you know that the Object Marker can also have a similar usage? It does... but only in certain cases. While I don't recommend using the Object Marker to mark your locations when speaking Korean, there are a few cases where it's accepted and even common, and I'll show some of those in this video. Since switching to two video uploads per week, I created this "Korean FAQ" series to be posted once a week as an additional supplement to your regular Korean studies. In the future I'd like to introduce more types of videos to upload each week, for more variety. Your comments, feedback, and suggestions are always appreciated. 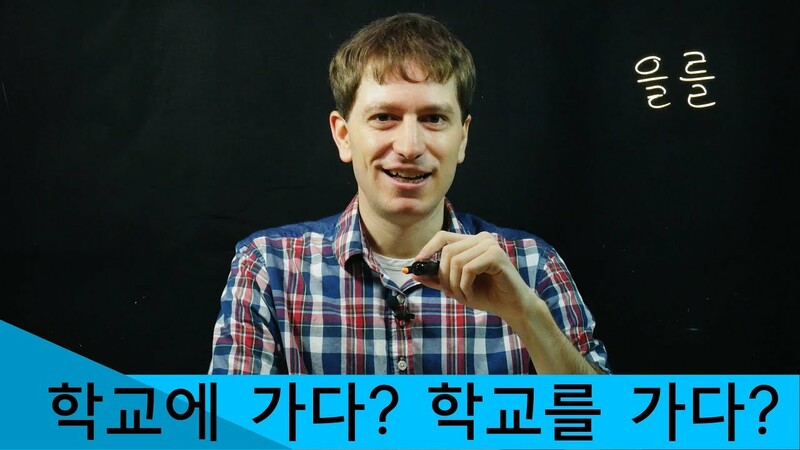 What Do Koreans Think of Foreigners Who Speak Korean? I have been receiving and studying your weekly Korean video explanations for a long time now. Although most of them are too basic for me, they almost always explain Korean in a way that is very helpful to me. You have the ability to explain Korean in a way that other websites and books seldom-if ever-do. Of course your grammar books are written in the same way and offer the same benefits. That’s why I have all three of them. LOL! You are already working on ‘Go Billy Korean’ four, aren’t you? As soon as it comes out, I will be the first to buy it and recommend it to other Korean learners. ps: Please, please include an alphabetically arranged index for the grammar patterns which are in each book in all future editions of your ‘Go Billy Korean’ textbooks. This is absolutely the only fault that I have with your work. Keep up the good work-we need you! I'm not working on a "Korean Made Simple" 4 currently, but I am working on some other projects. In the future I'd like to release some more books for intermediate learners (after KMS 3). Thanks for your comment!